It’s that time of the month again over at Papertrey. This month’s Blog Hop challenge is black and we are being asked to create a project that showcases this bold colour . I decided to create 2 projects for this challenge, a layout and a card. This layout is about my DD’s trip to the arcade during one of the birthday parties she attended last September. 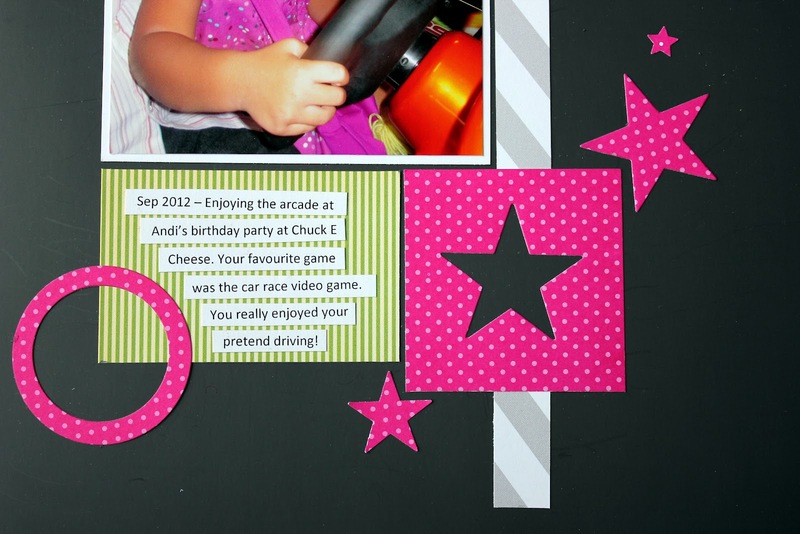 She had a lot of fun trying out all the games there but her face literally lit up when she was doing high speed driving in one of the car race video games. Should I be nervous now? As for the green headband, I have no idea how it got there, lol. I used Papertrey dies (modern alphabet, seeing stars, edger #5) and bitty dot patterned paper (raspberry fizz and summer sunrise). I also used American Crafts thickers and patterned paper from October Afternoon and Studio Calico. For the layout, I am also linking this to Leigh Penner’s Pages with Papertrey Challenge #15. 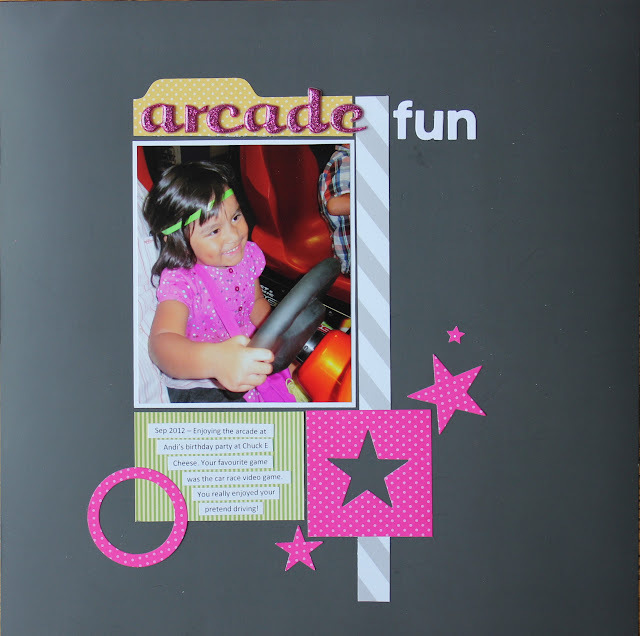 The challenge is to use negative die cuts in your layout. I obviously used the negative die cut challenge in my stars. But I realized as I was posting this that I had also used mixed elements in my title which is also one of my favourite PWP challenges. For my next project, I created a Valentine card. 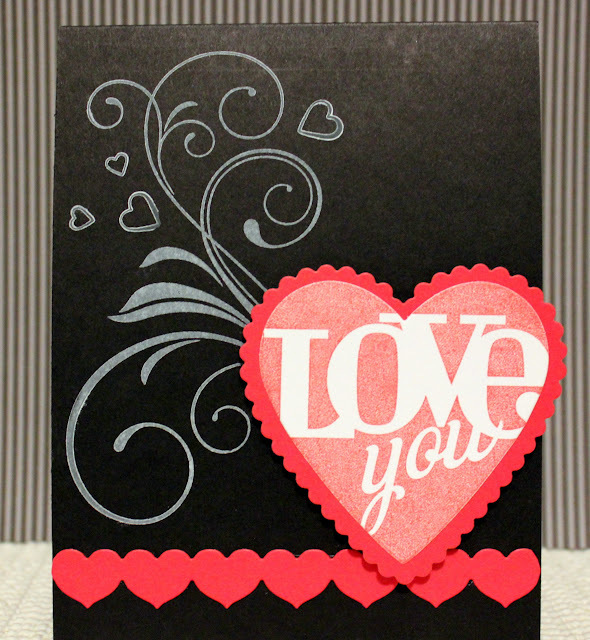 This is my first time creating a card with a black base and I love the dramatic effect it has on the card. I stamped Fancy Flourishes using Papertrey’s Fresh Snow ink. I then added the heart border and finished off with the Limitless Layers: Heart die stamped with With All My Heart (both from Papertrey) and adhered using pop dots for some dimension. This is my only Valentine set and I don’t think I need anything else. Love it! Great layout and your daughter is the cutest but the Valentine's card is perfection. Love it. Wow the pink really pops off the page set against the black. Nice! Sweet layout. What a fun time your daughter had. And, you valentine is so pretty. The black background adds such drama. Both Super but i LOVE the LO! LOVE her pink shirt and your pink accects! The negative star is FAB! Fab valentine's card and the scrapbook page's bright colours really pop against the black. Irma I love both your layout and your card. Very fun. Your layout is just perfect for that great photo, and the red, black and white is one of my favorite color combinations--looks fabulous! 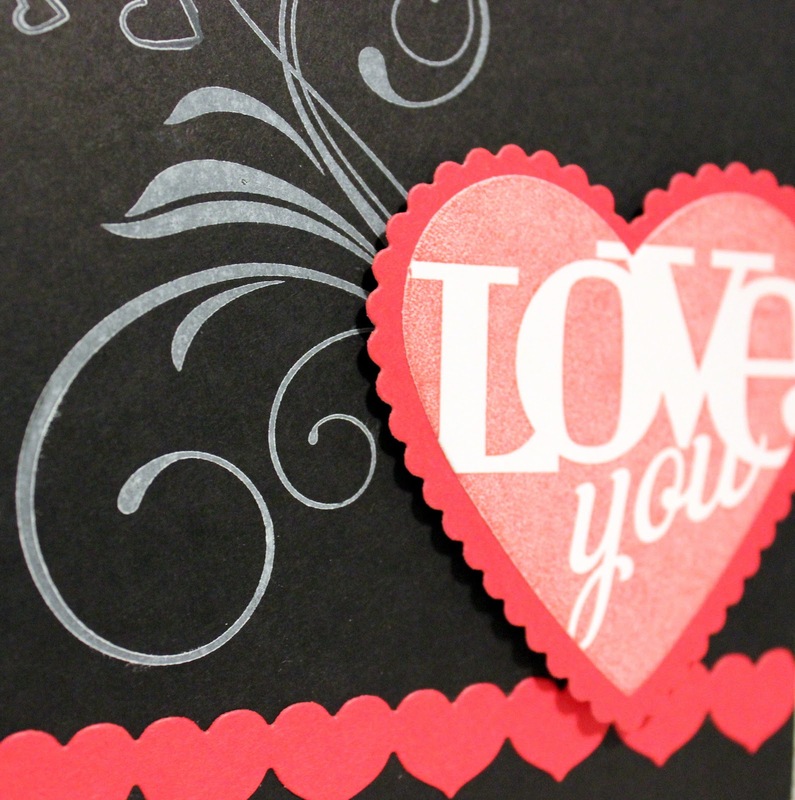 Love the way you used the flourish with the heart cut-out, and the pops of color on your black-cardstock layout -- especially in your daughter's pink dress. These are great! Wonderful card and such a cute layout too. I think that big flourish on the black base looks amazing. 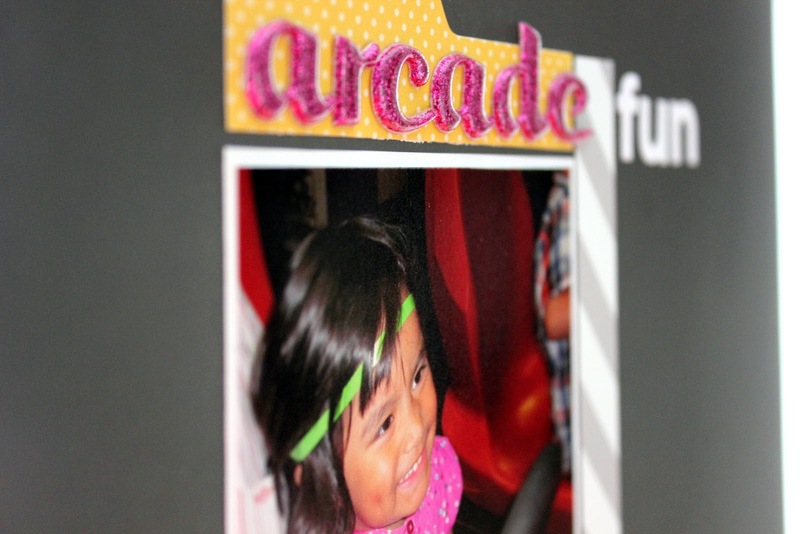 Irma, I love your card and your scrapbook page is fabulous - could she be any cuter!? Your layout and card are beautiful! Love the flourish stamped in white! The white flourish is perfect in the background.